Single Russian Woman is a Russian dating website that you can generally meet Russian girls online. The website has gained popularity in short time however there are some issues with the website. If there are online Russian girls on the website, they should generate traffic from this country. However we have noticed that the website hardly get traffic from Russia. So some profiles can be fake or scam on the website. We recommend you to beware of these profiles if you ever register to the website. single-russian-woman.com has generally male profiles from Canada, USA and Spain. You can read our dating review on here and add your own review for the website. Registration process is very easy and fast. You don’t need to fill many forms on single-russian-woman.com to get start. Search feature is very good on the website. It is for Russian Dating. Girl profiles are generally from Russia and Ukraine and other East Europe countries. See who has visited your profile. Good discounts at purchasing more than 1 month. Any user from any country can register to the website. Free account features are very limited for dating. High fake and scam profile risk. There are rare Russian male profiles. Popularity is not good enough yet when we compare it with other Russian dating sites. 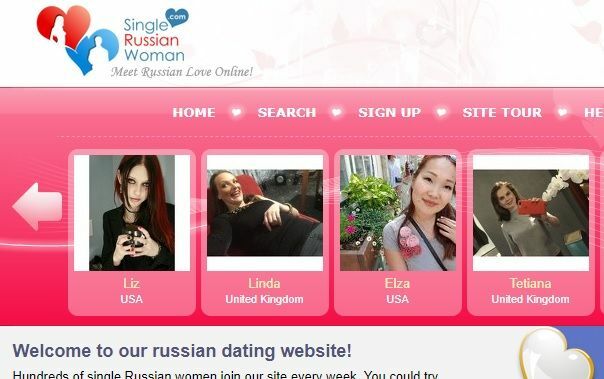 Website is promising you to meet Russian singles but there is not enough traffic from this country. Single Russian Woman has no web traffic from Russia and this is making website untrustworthy. You can still go discover website with a free account though. It is free to register to the website. If you have any good or bad experience about Single Russian Woman, you can leave a review below.